Last night it was my privilege to attend A Night For Freedom event hosted by Mike Cernovich. The event had been repeatedly misrepresented and sabotaged by the Left even before it began, and I spent most of yesterday on Twitter following the organizer's scramble to find yet another venue after two others reneged on their contracts at the last moment. I'm not generally conspiracy minded, but it did look to me as a concerted effort to stop the event from happening. Whether the two different venue owners were paid off/intimidated, or were intending to cancel all along will be for the lawyers to untangle. The bottom line was, the opposition was bound and determined to keep a few hundred people from getting together and having fun at a private venue. They tried to stop us. They failed. Let's party. Oh yes, I'm going there. The fervor seen on the Left to shut down all dissent absolutely comes from the same place as ancient tyrannies that practiced religious prosecution. Fortunately, in this country, they don't have the power of the State to support their desire to silence and if necessary kill those who do not share their worldview. Or rather, they don't have it YET. Every time someone nods approvingly at a "Punch-a-Nazi" joke, we inch closer to the day when incidents like the unprovoked attacks at the attendees last night become the norm. And that is when the First Amendment becomes just words on paper. No, we are not yet there. But we can't dismiss the urgency of our situation either. Citizens who have lost their right to think and speak different ideas, and to get together to discuss those ideas, are no longer free. And so I was, an immigrant from the former Soviet Union, after 30 years in the country that's been a beacon of freedom to the world, about to attend an equivalent of a dissident meeting. If that was not enough cause for trepidation, I came to the event alone, which is something I almost never do. Naturally, this being an "Alt-Right" event and all, I quickly came across a group of Russian/Ukrainian Jews and spent most of the main program hanging out with those fine gentlemen, bonding over our love of Ayn Rand and making fun of feminism. 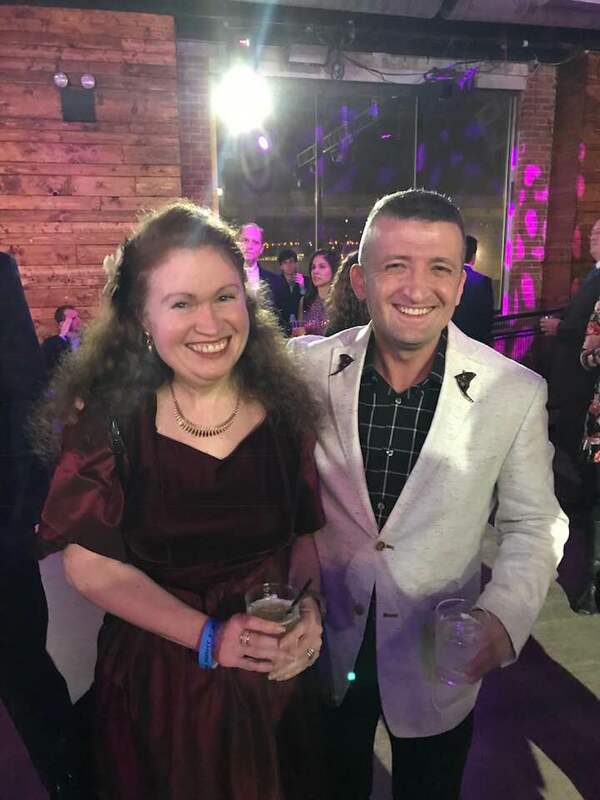 They also introduced me to Michael Malice, a Ukrainian-born writer and commentator best known for his book Dear Reader: The Unauthorized Autobiography of Kim Jong Il. What's that, you say? This doesn't sound like the "Alt-Right" crowd at all? Well, who are you going to believe, mainstream media or someone who was actually in the room? The program itself was ranging from inspiring to pure fun, with everything in between. Owen Benjamin channelled the late George Carlin at his edgiest, and performed a large part of it as musical numbers to boot. Michael Malice presented an optimistic spin on the current cultural and technological challenges and advances. 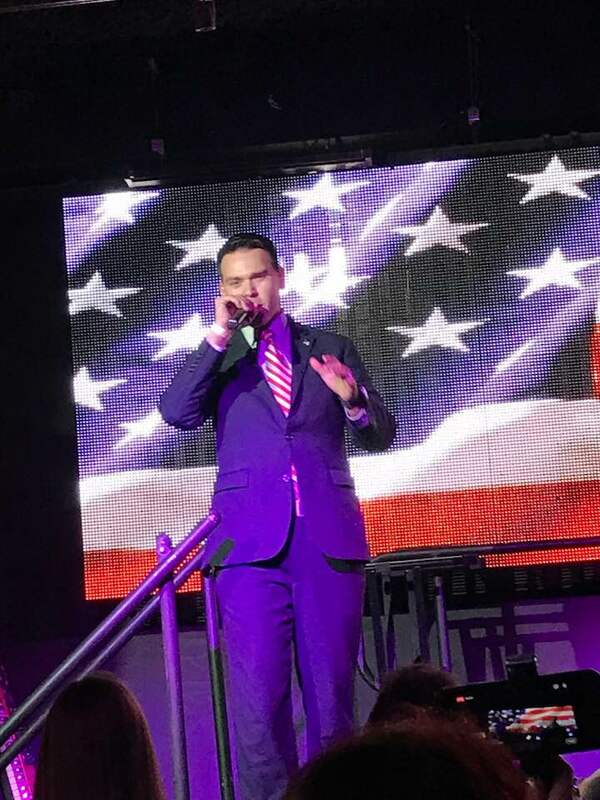 Jack Prosobiec did a spoken word performance tribute to the American flag. Gavin McInnes was his usual irreverently hilarious self. 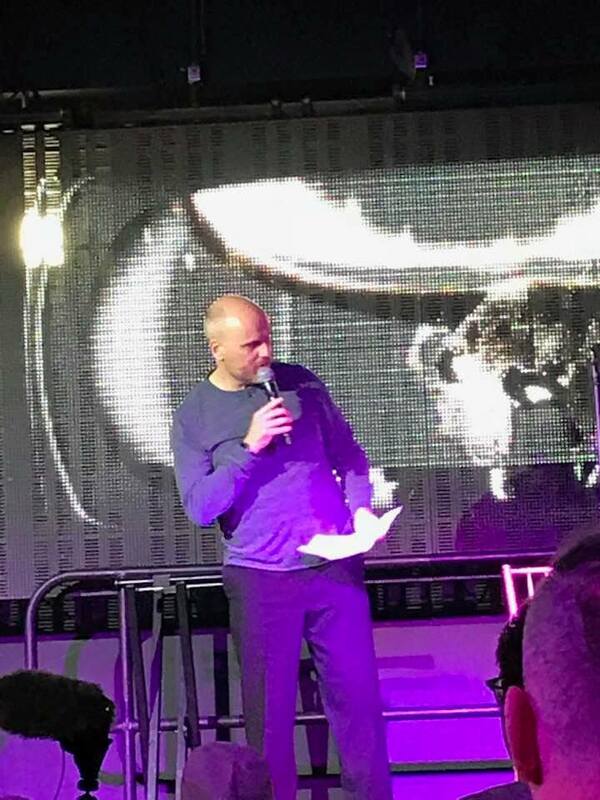 But the best speech of the evening, somewhat to my surprise, came from a Canadian political commentator Stefan Molyneux. He encouraged us to ask a question that may of us immersed in the culture war and political strife often forget. We all know what we're against. In fact, we know it so well it's possible to spend days, weeks and even months in a state of simmering anger at what is being done to the country we so love under the guise of common good and political correctness. But what is it that we are FOR? Generally speaking, movements built only on destroying the status quo, no matter how tyrannical, end up either failing entirely or turn into their own form of tyranny when they prevail. 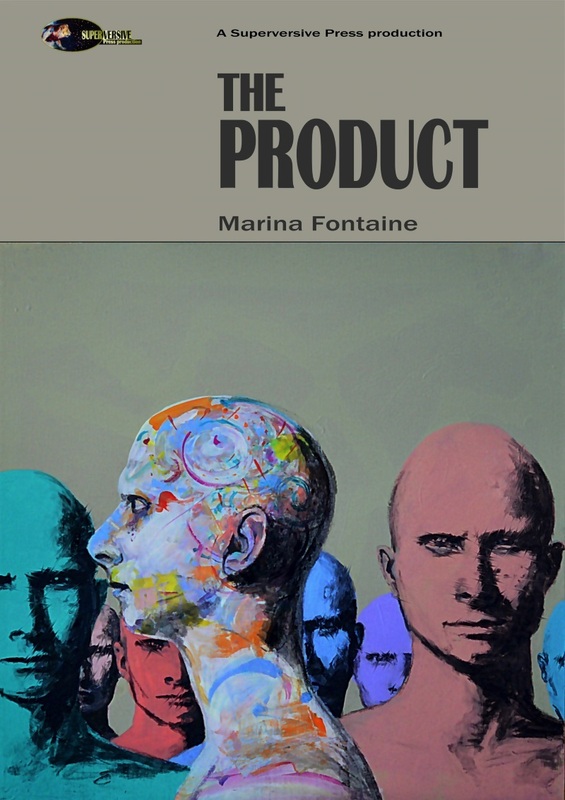 But also, for practical purposes, it's easier to convince people to follow you if you can present a vision of the world YOU want to build. Tempting as it is to say, "Let's just defeat the Left and we'll figure out the rest later," we do need to know OUR vision and we must be able to present it in a coherent way. And this, for me, is one of the bigger takeaways from the event. It's important to fight, and I will always support those willing take on the modern version of Thought Control Police. But in the long run it's also important to present an inspiring, positive vision of the future. 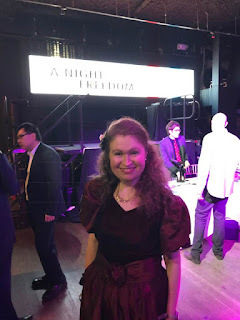 A Night For Freedom was more than a political event. It was also a party, a celebration, complete with almost two hours of dancing, and I suppose our the fact that our last-minute venue was an actual nightclub was very appropriate. While Left-wing artists lament loss of creativity because their favorite candidate lost an election, we are the ones having fun: partying, creating, and inspiring. This is how we get people on our side. And this, friends, is how we win. Speaking of Winning, Superversive Press has lowered the price for MAGA 2020 and Beyond to celebrate the first Anniversary of Donald Trump's inauguration. 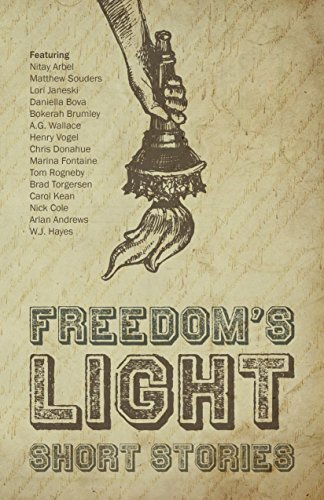 Pick it up and enjoy stories and essays that present a positive, optimistic future. Happy Reading! Happy 2018! Looking Behind and Planning Ahead.